Shalom Haifa: S.F. 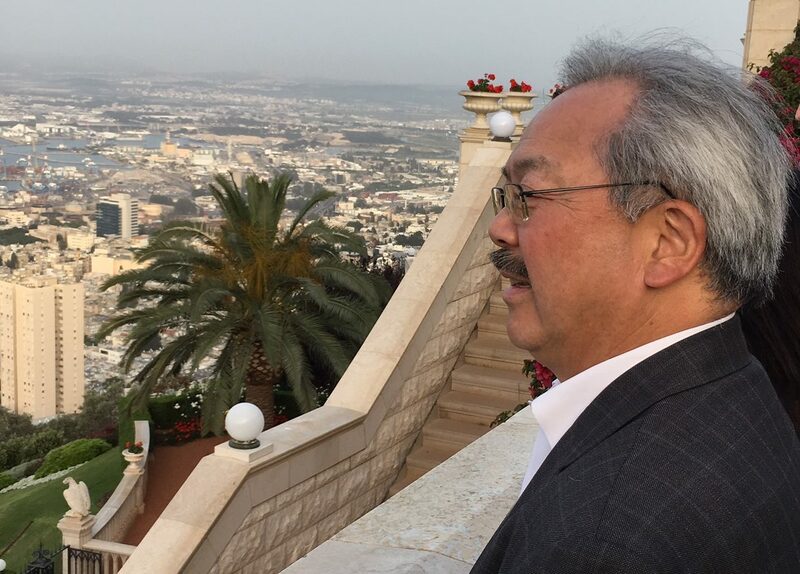 Mayor Ed Lee's trip to Israel – J. In many ways, it isn’t. Both Haifa and San Francisco are built on hills that rise above bays, both are hubs of artistic and technological innovation, and both enjoy well-deserved reputations as oases of tolerance and diversity. Maybe that’s why the San Francisco-Haifa sister city connection has been going strong for more than 40 years. That relationship brought Lee to Israel for a weeklong tour of Haifa, Israel and the Palestinian territories — his first visit to the region. It was a visit the mayor says he will never forget. Joining the mayor and his wife, Anita, on the April 8-15 jaunt were city officials from the Planning Commission, Recreation and Parks Department, San Francisco Arts Commission, the Mayor’s Office of International Trade and Commerce, as well as leaders of the Sister City Committee, including chair Arthur Wachtel, and Bay Area Jewish community leaders including JCRC executive director Rabbi Doug Kahn and Jewish Family and Children’s Services executive director Anita Friedman. The trip was organized and largely funded by the San Francisco-Haifa Sister City Committee, the Jewish Community Relations Council, the S.F.-based Jewish Community Federation and private donors. 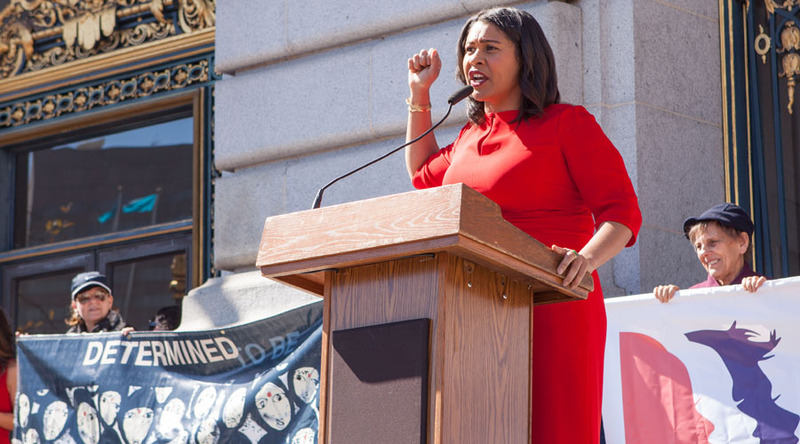 The mayor’s office and the Consulate General of Israel in San Francisco also played key roles. But from the start, the spotlight was trained on Lee, who appeared eager to take in the sights, sounds, tastes and diverging opinions that abound in the Middle East. His first stop on April 10 was the 300-acre campus of the Technion, Israel’s version of MIT. 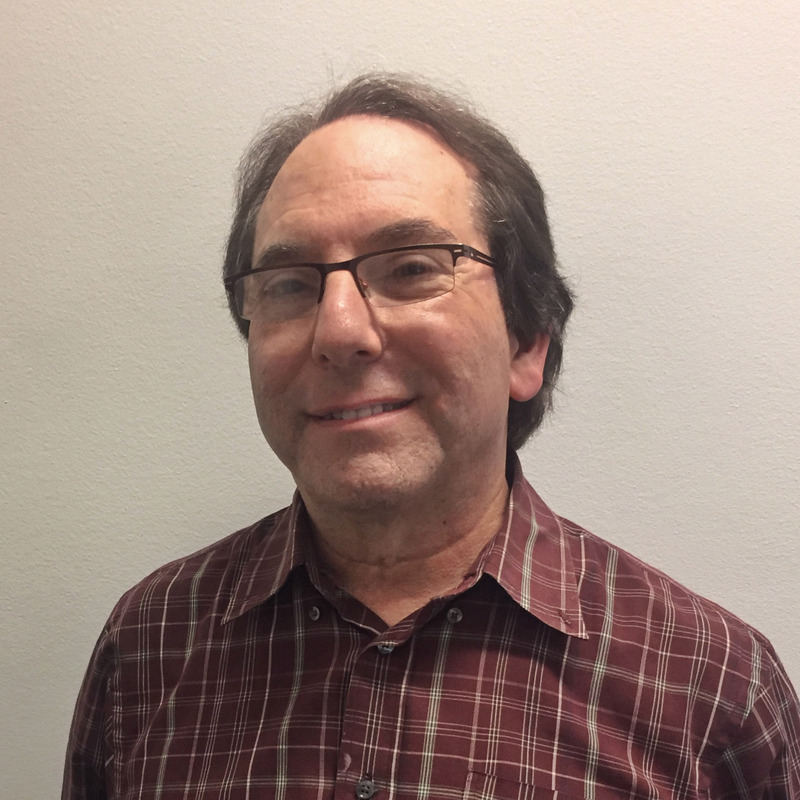 The institute’s vice president, Boaz Golany, greeted the mayor, noting that 2,000 Technion alumni make their homes in the Bay Area, and that Bay Area-based Jewish philanthropists, notably Lorry Lokey and Stephen and Nancy Grand, have given generous gifts to kickstart Technion projects. Touting Technion’s gains in the fields of photovoltaics, microfabrication, electron microscopy and water research, Golany also spoke proudly of his institution’s three Nobel laureates and its soon-to-debut campus in New York City, created in partnership with Cornell University. “I draw inspiration from Israeli resilience, diversity and innovation,” Lee said. Before the ink was dry, Yahav announced the first joint project: an art exhibition launched by the Israeli art startup For Real. This fall, 3D ocular viewers will be installed in both cities. When people look through them, they will see a live panoramic view of the other city. 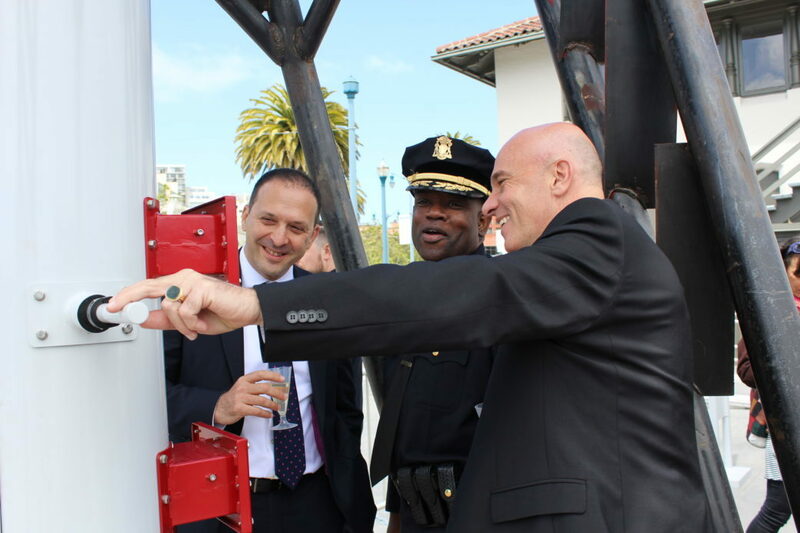 In San Francisco the device will be mounted on the Embarcadero. Later, Lee opined on other commonalities shared by the two mayors. “What drives us is we don’t have time to endlessly debate,” he said. “We actually have to get things done. People are right in front of us saying fix the pothole, get the trash picked up, make sure the streets are safe. Next on the agenda, the mayor toured Haifa’s 1,000-bed Rambam Health Care Campus, the largest medical facility in northern Israel. In its new nine-story Ruth Rappaport Children’s Hospital, Lee’s group met Rambam’s director and CEO, Dr. Rafi Beyar. “This is the only place prepared to treat patients from all over the world,” Beyar told Lee, referring to the hospital’s tradition of treating Arabs from Israel, Gaza, and even war-torn Syria. He described how one Syrian patient, whose jaw had been shattered by a bomb, received a new 3D-printed titanium mandible. The group then met with three staff doctors, one Jewish, two Palestinian. The tour ended at Rambam’s ambitious $120 million fortified hospital, an underground facility located in a subterranean parking lot that can be converted to a fully operational hospital in 72 hours. It was built to protect patients and staff from Hezbollah rockets fired into Haifa from Lebanon — a necessity the Israeli city does not share with San Francisco. To see Haifa’s culture of Arab-Jewish coexistence in action, the group next visited Takwin Labs, an incubator for Arab Israeli tech entrepreneurs and startups. Founder Imad Telhami, a successful Israeli Christian Arab businessman, explained the large social gap between Israel’s Arabs and Jews, noting the $30,000 average disparity in per capita income. He reported that Takwin so far has provided 2,000 jobs. “I asked why are Arabs not inspired to build their own companies,” Telhami said. “Israel is the startup nation. If Arabs are 20 percent, why are there no startups? On day two, the mayor’s entourage bused south to Yemin Orde, one of Israel’s most well-known youth villages. Founded in 1953 to help orphans, refugees and at-risk teens adapt to Israeli society, Yemin Orde has graduated more than 5,000 students, some of whom have been elected to Israel’s Knesset. Lee met with a dozen students, from Russia, Brazil, Ukraine, Ethiopia and even New York. He told them about his own upbringing, how his Chinese immigrant ancestors were forbidden to vote or own property, and how his city elected him its first Asian American mayor in 2011. After a stop at Jisr az Zarka, a small Arab fishing village trying to climb out of isolation and poverty, Lee and the group headed east, across low rocky hills dotted with goatherds and razor wire, through a checkpoint and on to Ramallah, the administrative capital of the Palestinian Authority. Dodging construction projects, and slogging through nightmarish traffic on narrow winding streets, the bus finally stopped on a busy Ramallah boulevard. In a modest office the group met with former Palestinian Foreign Minister Nabil Shaath, as well as with Husam Zomlot, a London-trained economist and ambassador-at-large for the PA.
Shaath went on to lament that there is no peace in the Holy Land; rather, “it is in pieces.” He said he once dreamed of a binational secular state for Jews and Arabs but grudgingly came to accept the two-state solution as the most viable path to peace, something he still believes. “Sometimes you have to divide the child to save the child,” he said, alluding to the Solomonic legend. He proffered the new thinking among Palestinian leadership that a solution should be imposed by the United Nations and the international community, rather than restarting American-brokered bilateral talks between Israel and the PA. The younger Zomlot followed, expressing a far more aggressive posture than his colleague, referring more than once to “ethnic cleansing” perpetrated by Israel against the Palestinians. Later, Lee took stock of what he had heard and weighed it in light of an April 6 incident at San Francisco State University where Jerusalem Mayor Nir Barkat was shouted down by anti-Israel protesters. “As a former civil rights attorney, I am a big supporter of free speech,” Lee said. “I was saddened to hear that SFSU didn’t allow free expression. The mayor of Jerusalem had something to say and he wasn’t permitted to, over the shouting that went on. The protesters were able to use their First Amendment rights, but trampled on someone else’s. I don’t think that’s right. The next stop that day was Rawabi, the first planned Palestinian city in the West Bank, a massive $1-billion hilltop community with towering condominium buildings, parks, mosques, stores, movie theaters and an open-air, colonnade-ringed stone amphitheater that has been plagued by years of delay, both political and economic. The man behind the project is Bashar Masri, a Palestinian American business mogul, who met with the group at Rawabi’s luxury showroom. Speaking elegant English with all the enthusiasm of Steve Jobs introducing the latest iPhone, Masri recounted how his Qatari partners invested $500 million in the project, so sure were they that Masri’s development would resonate with West Bank residents. Rawabi, which is still largely under construction, will eventually have capacity for 25,000 residents, with each family paying between $65,000 and $180,000 per unit. So far, 200 have moved in and, according to Masri, scores more have pledged to buy. But he has experienced setbacks. A dispute with the Israeli military, which controls water usage in the region, delayed installation of water resources, spooking some potential buyers, he said. Moreover, several leading global retailers that had promised to open shops in Rawabi’s malls delayed, which to Masri meant they had canceled, most likely due to security concerns. Masri has also been under fire for buying construction materials from Israel, with some Palestinians accusing him of being a collaborator — a dangerous charge in their society. He remains undeterred. Sponsored trips like the one offered to Mayor Lee are not vacations, but intensive learning opportunities. The itinerary this week was relentless; the group kept moving the entire day, from one meeting to the next. JCRC director Kahn said Lee could only benefit from seeing how Israel does things up close and personal. When it was time for this reporter to head for the airport, Lee was only two days into his trip. Still ahead were meetings with former Prime Minister Shimon Peres, current Israeli President Reuven Rivlin and former Israeli Ambassador to the United States Michael Oren, as well as a helicopter ride over the Golan Heights, a wreath-laying ceremony at Israel’s Holocaust memorial Yad Vashem and a walking tour of Jerusalem’s Old City. But even at this early juncture, Lee said he was “re-energized” by what he had seen and heard. “Every time I visit these places and see how vibrant they are, I go back to San Francisco and say to myself, let’s not fool around,” he said. “Let’s keep being more inclusive, let’s work on housing, work on the homeless more intensely. Everyone else is creating answers to their problems. That’s what I look out for, and certainly this trip is energizing me even more.